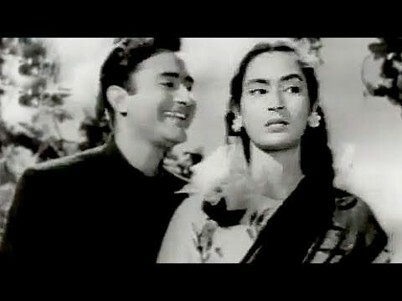 Dev Anand was not just about romance and good looks. He was much much more. He was about freewheeling fun, about harmless naughtiness, about rollicking laughter, about teasing flirtations and about a gorgeous, gorgeous smile. Paying Guest is a film where you see all these facets of this evergreen charmer. Even though you have the lovely Nutan to feast your eyes on, it's Dev Anand who grips you with his uninhibited panache in this 1956 romance. Right from the very beginning. I've always believed that Shammi Kapoor was the master of disguises. He just thumped his way into the screen and extracted all the gags with his goofy disguises. Be it as an old nawab, a bungling pandit or a clever magician, Kapoor always looked the part and played it too with his fine voice modulations and quirky facial contortions. But lo!! Dev Anand here dons the garb of Mirza Sahib and dupes everyone so well that you feel why didn't do this in his films more often. He actually is hilarious, weird and bold. He not only wins Nutan's heart, but he also sheds light on the other side of his persona-- the experimentalist and flamboyant one. 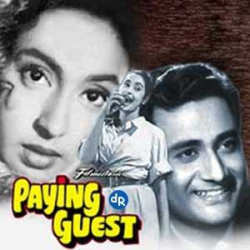 Paying Guest, directed by Subodh Mukherjee, celebrates the charmer in Dev Anand. So, right from scene one, you have the man playing with your senses. He is struggling Advocate Ramesh evicted for the nth time by his landlord because he has not been able to cough up the requisite rent. He laments before his friend, Jagat, a sculptor, that he is fed up of life and will soon end it. But the very next moment, he shrugs the sadness off with a laugh and sets off to look for accommodation. He finds one easily (considering how resourceful Ramesh is, it's not very difficult for him to get his way by some minute fibs) but is in for a surprise when he lands up at his new home. Shanti (Nutan), the daughter of the tenant who occupies the floor above him, accosts him after he mischievously plays a prank on her. This provokes Digambernath (Gyani) and his lot to vacate the house, thus resulting in Ramesh's landlord throwing him out too. Well, who would tolerate an unlucky omen like him--who gets rid of a perfectly good tenant on the very first day. Ramesh is back to where he was. Losing court cases during the day and hunting for homes at dusk. But in the meantime, he has his eyes set on Shanti, the charming damsel who robbed his heart the moment she walked into his life. The chase begins. 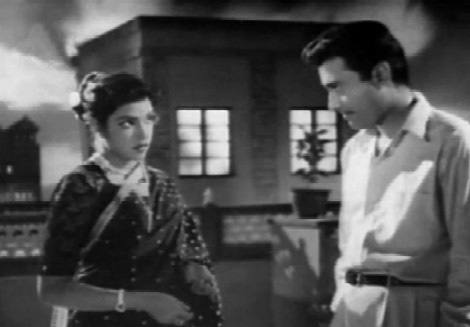 Ramesh learns that Digambernath will only allow a paying guest in his house who is an old man. 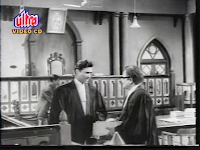 So, Ramesh becomes Mirza Sahib and smooth sails into Shanti's home. 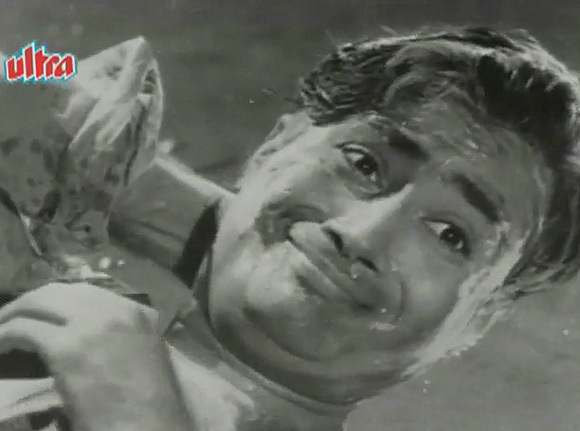 Just watch Dev Anand here. He walks with a slight limp, owing his age. He talks in a sing-song manner and that too in a high pitch and cracks jokes like it's nobody's business. Like when Digambernath offers him a square mean everyday, Ramesh says, "Yahaan aakey mujhey lag rahaan hain ke main mere sasuraal mein aa gaya hoon (I feel like I'm in my in-laws' home after coming here)." It's funny because Mirza is almost as old as Digambernath and yet his words have a hidden meaning. He is after all vying for Shanti's attention and love and God is gracious this obviously will be his sasural!! He is already in the camp where he wants to be. 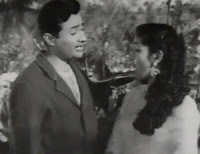 And till now he has just expressed his intentions to Shanti through the naughty, Manaa janab ne pukaara nahin (the music by S D Burman is just about fantastic, if not more, and here I do not mind Kishore Kumar too much), She might have found him unbecoming but she does not hate him. Her feelings are dangerously dangling between attraction and love. And can we blame her? Ramesh is handsome, he wears his heart on his sleeve, doesn't mince words when it comes to owning up his love for Shanti and is persistently pursuing her. He is so clever that he uses Mirza Sahib to sail down into Shanti's heart, without her even knowing that she is being fooled, albeit for the best of intentions. Ramesh is just not about love and songs, he knows his duties too. When Digambernath falls ill, he looks after him like his own son. When Chanchal (Shubha Khote) tries to make Shanti jealous of her new-found wealth, Ramesh's words slice Chanchal up. She returns home an injured soul only to realise that money is after all only second to love. Her marriage is a loveless one, based on convenience. What Shanti and Ramesh share is ethereal and sublime. No wonder they look so jaunty in Chhod do aanchal, a frothy tribute to new love and its wonders. Nutan is just glowing in this song as she careens with her lover in the gardens. Then there is the blissful O nigaahein mastana, one of the best love ballads I've ever heard. It's soothing, sensuous and wonderfully done. I love how the couple share a proximity here. They play with each other's hair, Ramesh uses the gossamer fabric of Shanti's clothes in a playful manner, the moon is bright, the stars are shiny and just about everything is immaculate. And the lovebirds make their romance so infectious. Shanti is reveling in Ramesh's affections and compliments and Ramesh is courting his beloved with utmost finesse!! I love the love story in Paying Guest. It's utterly delicious, believable and romantic. Here are two souls who are struggling to make ends meet but that has not done away with the goodness in their hearts. They understand each other's constraints and are ready to adjust and compromise. Misunderstands take place but they are sorted out because true love triumphs here. And when dangers come calling, the two stand by each other. Their love and bonding is rock solid. 2011 was a bad year in terms of cinema. Not that I can say anything about the films made this year, for, I've hardly seen much of them. It's been a bad year because we lost so may of our movie legends from the Hindi film industry. First it was Shammi Kapoor's demise and then Dev Anand. The freewheeling romantic hero who refused to have his energy contained, Dev Anand was about style as well as substance. His films always floor and surprise with their uniqueness. And like I said before such greats will never be dead for me. Like Shammi Kapoor, Dev Anand and his charisma will live on... through our love and reverence in his mastery and his unforgettable movies. Sharmi, loved most of Paying Guest, though it still doesn't rank amongst my favourite Dev-Nutan films - that has to be Tere Ghar ke Saamne. The songs were sublime, weren't they? @Anu: I think the patchy ending botched it up. And ya, the songs of both this and TGKS were good :) but for me the songs of TGKS were much more sublime because of Rafi! I agree with both of you, this wasn't one of Dev Anand's best (largely because of that patchy ending), but oh, the songs! 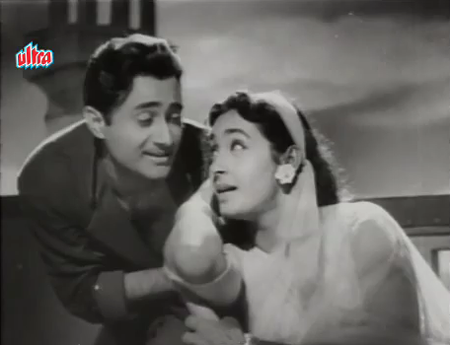 And oh, Dev Anand and Nutan! :-) The sweetness of their romance, coupled with that fabulous music, made me forgive a lot of the flaws of Paying Guest. @Dustedoff: Tes Madhulika, these two could really do some fireworks on screen!! I have read so much about this film but have never had a chance to see it yet. Your review sounds so tempting! I like the songs in the movie and the lead pair is just awesome. 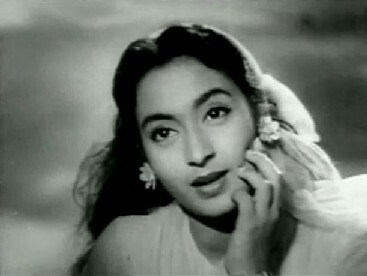 Among all the other 3 Dev-Nutan films I've seen so far (TGKS, Manzil and Baarish) TGKS is my favourite. I think I was so struck (nay, blinded) by the *other lead* in the film when I saw it that I quite overlooked Dev's prowess, which you describe so fully and so impishly well: your first § with all those qualifiers of his magnetic charms conjured up his presence magically! Super! Your reviews have really reached a more than professional quality, BTW. There's something very Dev-like in your writing, if you'll allow me: your fun-loving finesse is like an echo of his. My only (small) regret: that you didn't pay enough tribute to THE missus of the movie! But you're immediately and unconditionally forgiven! A lovely tribute Sharmi. Like everyone here I too love this film...after Tere Ghar Ke Saamne. THe songs of course are top class. @Yves: You are such a marvellous man for praising me so! Thank you so much. @Ram: We all can't. Such were their charm!! This was a fun watch! @Roshmi: Absolutely freewheeling, except for the botched up ending!